This information is not intended for official nominees. If you are a nominee, please ask YNOT Events for details specific to you. The YNOT Cam Awards is open only to adult industry executives, performers, and invited guests of nominees. YNOT will review the qualifications of each person requesting tickets. Any person or persons obtaining admission through fraudulent means are subject to immediate expulsion from the event with no refund. What should I do for hotel accommodations? YNOT has taken out a room block and secured discounted rates with the W Hotel on Hollywood Blvd. This is a full-service hotel that’s located just a few minutes walking distance from the Avalon. While the block is specifically for the night of October 24th, the W Hotel has agreed to extend the discounted rates to earlier or later days as well, pending availability, in case you would like to stay longer in Hollywood. Note the LAST DAY to book discounted reservations is October 10th, and it’s possible that the block will sell out before this date. We advise you to make your reservations as early as possible. Or you can also use the YNOT Cam Awards hotel group page to make your reservations. If you are flying into Los Angeles then we recommend you fly into the Burbank airport if possible, not LAX. It’s much closer to Hollywood and will also reduce transportation costs to and from the airport. How will seating work at the Avalon Hollywood? The YNOT Cam Awards will be divided into two primary seating categories. VIP. This seating is floor level and features a full dinner service and open bar throughout the night. 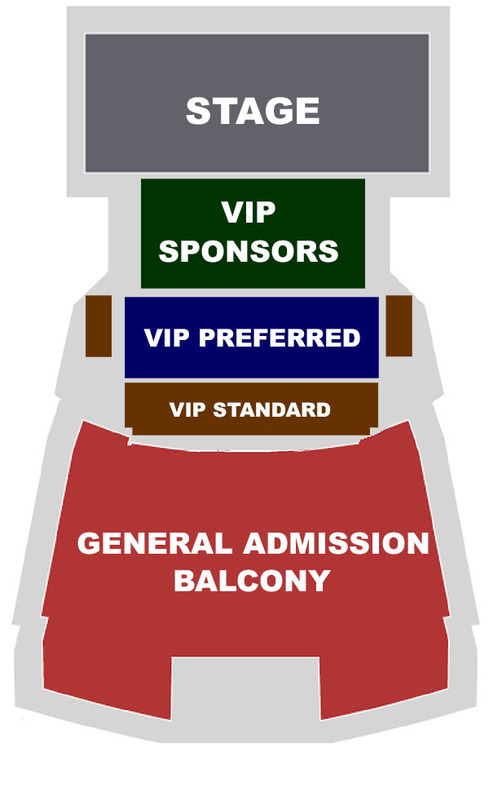 VIP seating is assigned seating at reserved tables. General Admission. This seating is balcony level and cash bar only. While there are some great seats in this section, seating here is first come first served. VIP Sponsors. These are large tables located directly in front of the stage reserved for our top supporters. VIP Preferred. These are slightly smaller tables located just behind the VIP Sponsors tables in a very nice viewing area. VIP Standard. These are booths that are located either on the sides or behind the VIP Preferred tables. How can I get free tickets? General Admission seating is free to qualified adult industry professionals and performers. 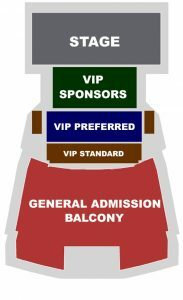 However you will not see these seats when you arrive on our ticket portal listing page on Eventbrite.com. To make these seats visible you will need an access code. Please use www.ynotsupport.com to open a ticket to request your access code. Please note we’ll need to validate that you work in the industry before supplying you with a code, so please if possible use a company email address instead of a free email service like Gmail or Yahoo, and provide us with some details about your industry role. If you don’t have a company email, for example cam performers, note that we may need to verify the one you give us with your cam network so please include where you cam. Can I get VIP tickets? If you are looking for VIP seating on the floor level with full dinner service and open bar, you can purchase these tickets on our Eventbrite.com page. We do offer steep discounts for verified cam performers. If you are a cam performer who is not a nominee but who wants to attend, please contact us via ynotsupport.com to discuss discount options. We can also offer discounts to YNOT advertisers who are not sponsoring the YNOT Cam Awards. The red-carpet event will start at 6pm on Vine Street, right in front of the venue. Dinner for VIP guests and pre-show entertainment are currently scheduled to begin at 7pm. The awards show itself will start by 8:30pm. You can also walk to the venue if desired, it is very close to the W Hotel. Or you can drive, as there is a parking lot next to the Avalon. If you’re not familiar with the Los Angeles area know that the rumors are true, traffic can be a problem. Please plan accordingly, especially when traveling during periods of rush hour traffic. The YNOT Cam Awards is an important initiative for YNOT and the webcam industry, designed to spotlight the people in front of the cams. We truly believe that the webcam sector, and most importantly its performers, are transforming adult entertainment in powerfully positive ways. It’s time to make that known and to put webcam performers and the networks and studios they represent at the forefront. If you have any questions along the way we’re always ready to assist. The best way to reach us is through our ZenDesk system at www.ynotsupport.com. We look forward to seeing you in Hollywood.